We all know that Young Thug likes fashion. The Atlanta rapper has modelled for Yeezy, Calvin Klein and most recently Puma and wore a floor-length blue ruffled dress by emerging Italian designer Alessandro Trincone on the cover of his latest EP No, My Name is Jeffery – putting a middle finger up at hip hop’s gender norms in the process. 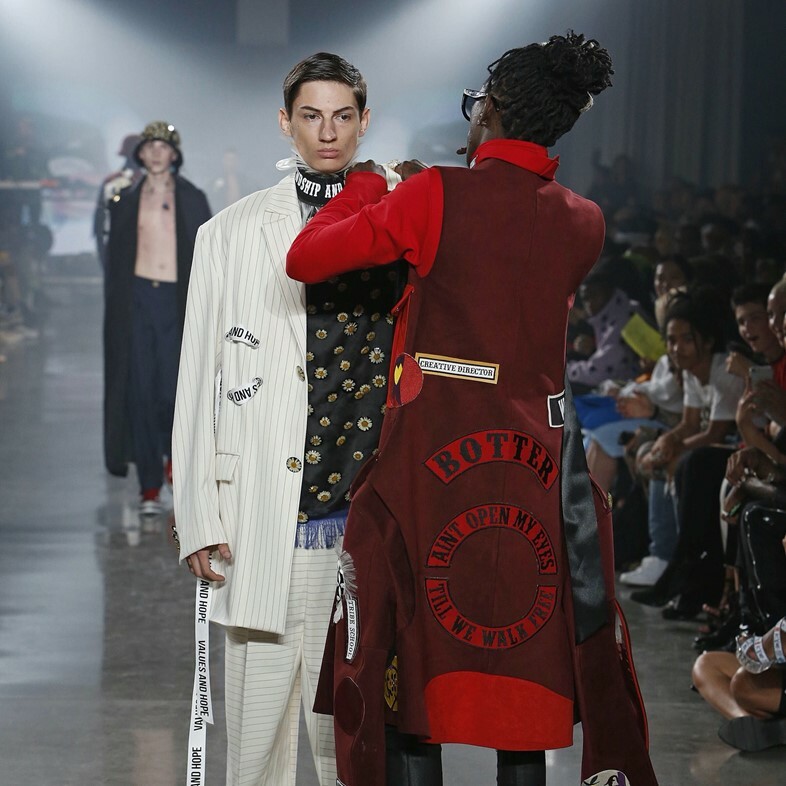 He’s also a mentor for VFiles, a platform for emerging designers including Trincone, alongside Naomi Campbell, Rihanna’s stylist Mel Ottenberg and make-up legend Pat McGrath. At last night’s VFiles show, Thugger showed that he takes this role extremely seriously. Not 100% satisfied with one model’s look, he got up from his front row seat – mid-show and mid-cigarette/blunt/cigar (?) – to make an adjustment to his outfit. The rapper, as it would appear, settles for nothing less than perfection when it comes to fashion. Watch the video below to see what happened, and head to the Dazed Fashion Instagram to see Young Thug make a cameo in the VFiles takeover of our story.